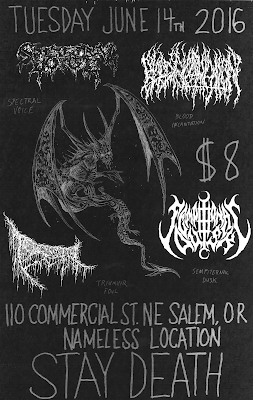 Triumvir Foul will be joining Spectral Voice, Blood Incantation, and Sempiternal Dusk for a night of vicious death metal in Salem, OR on June 14th. 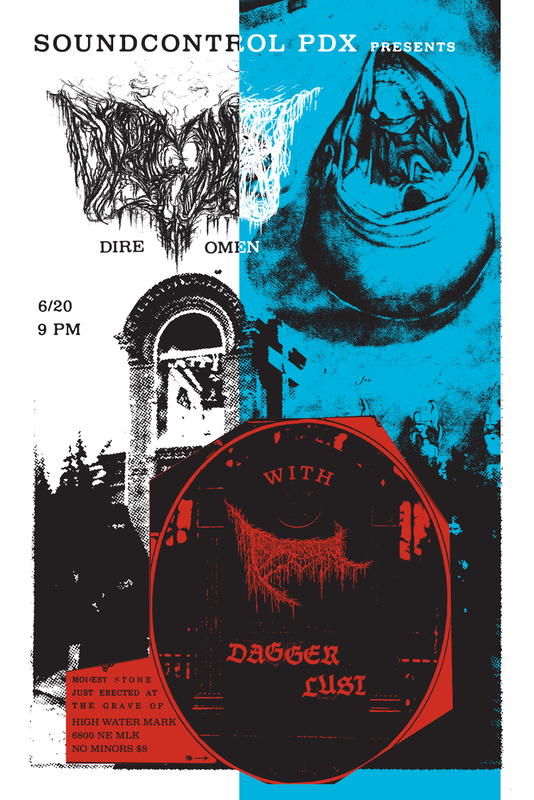 In addition, Triumvir Foul and Dagger Lust will be sharing the stage with Canadian black/death contemporaries Dire Omen at the High Water Mark in Portland, OR on June 20th. There will also be an experimental/noise show featuring Caustic Touch and Purity of Essence on June 10th hosted at VTHQ. No Vrasubatlat projects will be playing, but if interested contact us at vrasubatlat@gmail.com. 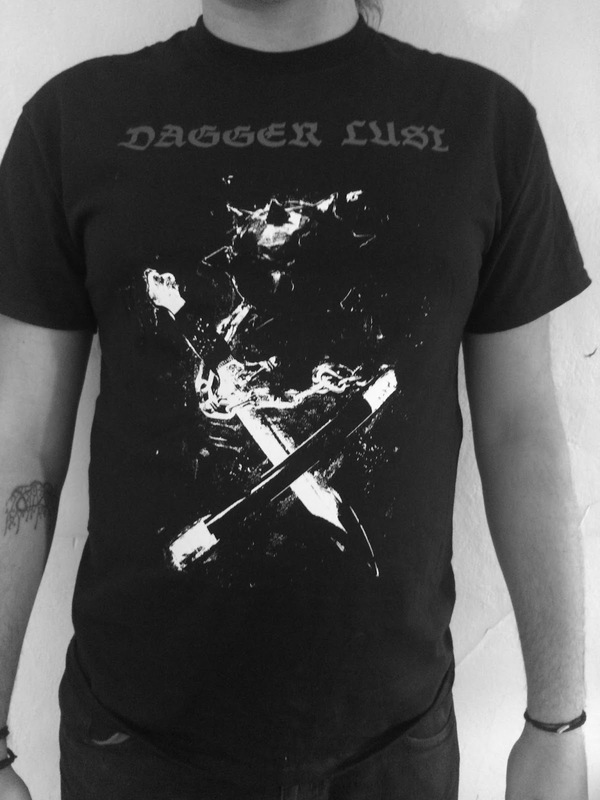 The follow-up to their eponymous debut (also released this year), Dagger Lust's Aggramica showcases some of the most demented aural asphyxiation to come from the Vrasubatlat roster yet. 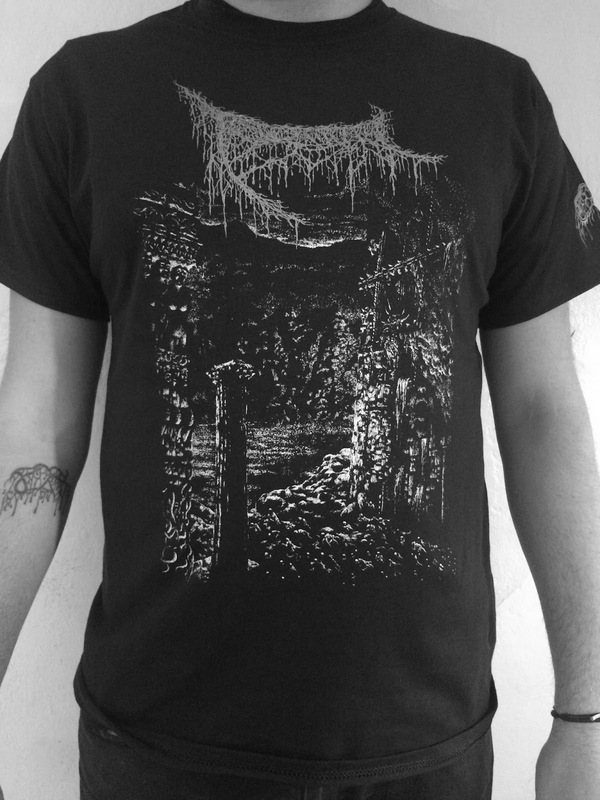 Aggramica features three violent emanations of carnal insanity, more degenerative and writhing than Dagger Lust's previous output. A true submission of hatred, depravity, and unhinged desire. Limited to 200 copies. 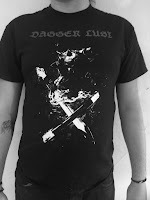 The VT webstore has been updated with new Dagger Lust shirt designs as well as a reprinting of the Triumvir Foul Ketola shirt design (pictures below, click to enlarge). Both adorned with the VT sigil on the left sleeve. Each limited to 50. 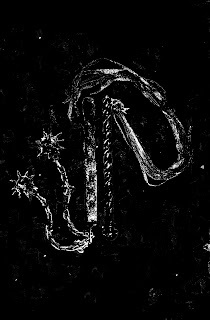 VT MMXV-. Simple theme. Powered by Blogger.